NGC 2070 angular size 20 , celestial coordinates (0538s690), constellation Dorado. Tarantula Nebula; extraordinary object within the Large Magellanic Cloud; rivals the great M42. NGC 3372 angular size 80' x 85' , celestial coordinates (1044s595), constellation Carina. Keyhole Nebula; magnificent sight, with numerous dark lanes crossing, much in the manner of the Trifid Nebula; contains the famous variable star Eta Carinae. Coal Sack dark nebula adjacent to the Jewel Box Cluster, NGC 4755. NGC 5189 angular size 185' x 130', celestial coordinates (1333s655), constellation Musca. You may want to consider a few additional thoughts before making some of your final decisions on the equipment most suited to your needs. Assuming most of your routine observing will be at least from a somewhat city-bound location, it would be easy to pay little attention to the potential for your telescope to be moved readily. Earlier in this book, I made reference to my own desire for such portability, and although you may feel that this will not be so important to you, I am certain that times will present themselves when you wish to view the skies from better sites. Contemplate the potential for viewing what you already have accessed from the suburbs all over again with newfound awe (imagine what an image intensifier and narrowband light filters will do in these more ideal surroundings! ), but also all the new objects that will become possible to view. So it is wise to carefully reflect on the ability you will have to move easily whatever equipment you select, a task that you should make sure is not so strenuous and awkward that you are not inspired to go through it too often. But it helps simply to be able to move the telescope easily. It goes almost without saying that a permanent telescope housing probably is not realistic for many people in our situation. I must admit that having such a facility of my own was always a dream. 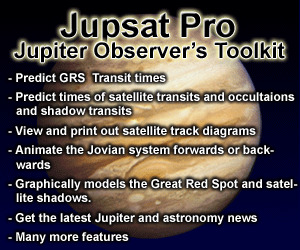 If you have read or looked through many journals and literature on amateur astronomy, you will have already noticed the wonderful observatories that have been built or purchased for such private use. What amateur astronomer wouldn't want such a place for him or herself? However, I have come to realize that it would only hamper what I am able to do from my home location, and therefore have accepted the reality of my circumstances. Nevertheless, what I have settled for has indeed turned out to be a good alternative. Before you make any decision on a permanent housing, take the time to consider your complete situation, and how you might actually be hampered by having a such a facility. You will be surprised how a small area of sky, the very one that you may have concluded you could live without, turns out to be the region that is critical for certain objects and viewing times. Having weighed all of this, and if you have come to the same conclusion as me, it is extremely beneficial to set up the mounting, equatorially aligned, in the various locations the telescope is to be used, and mark or construct exact positioning guides. This way, it will be possible for quick placement at a moment's notice. Only at those times when absolutely perfect alignment is necessary (i.e. for astrophotography), will you have to do more than a minute's work. The difference between these quick-alignment placements and exact polar alignment will be found to be very slight. 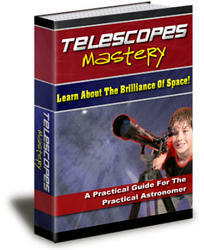 It will repay your set-up efforts many times, every time you use the telescope, to be very close to true alignment. Figure 10.1. The author, at home, prepares for a night of viewing. for truer dark adaptation. It is also a fact that as long as we switch back and forth from one form of viewing to the other, it is unrealistic to even consider attaining it. You should not therefore expect to have nearly the same degree of visual acuity with non-intensified viewing while you are observing in these types of mixed sessions. Because of the whims of my local climate, it is often impractical for me to attempt much in the way of galactic and certain other deep space observing during late spring, a good portion of the summer and early fall. At the coast in Southern California we are frequently plagued with a night-time marine layer and haze during these times. In order to see all that the sky has to offer, I frequently spend long sessions at the telescope whenever the air is as good as it can be, enough so that the sky can move through a large part of the celestial sphere. Sometimes this results in all-nighters! Your own circumstances presumably differ from mine, and even if you do not intend to spend entire nights occupied with looking at the sky, you will soon come to realize how readily this tends to happen anyway, once you have focused viewing objectives and a sustained clear sky. So why not simply periodically plan it that way, and allow yourself the time necessary to look properly and completely at your selected objects? It is such a waste of any good viewing opportunity not to take advantage of it. If you do not intend a lengthy session, it is better to plan on viewing only a small selection of objects properly rather than dashing madly around the skies. If, one night, I have planned to spend most of the night hours with my telescope (this often happens after a long spell of night-time marine layer "cabin fever"), I have found a method that gets me through the night without too many ill effects, and even through the next day! This is significant to me since I have always been one to want my sleep. As you complete your viewing of a particular section of the sky, take a catnap on a nearby couch, with your head propped up, as you wait for a new segment of the sky to rise. Keep some low light on (you don't want to fall into deep sleep), and don't get too comfortable (as in sleeping in bed), and you will find that you "wake up" quite refreshed, usually within half an hour to an hour. If you don't trust yourself to do this, a minute timer might do the job. Just repeat this procedure throughout the night; it becomes remarkably easy to "pull an all-nighter", and still be functional the next day. The stimulation of all you are seeing will stoke the fires as well, and will make this nocturnal activity not too difficult. Don't do this two nights in a row, however! Happy viewing! 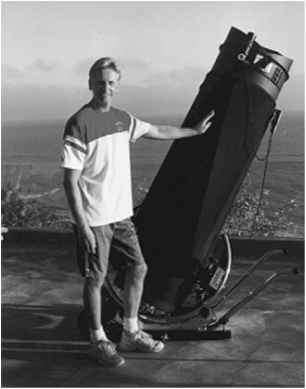 There are numerous manufacturers of outstanding astronomical equipment today, too many to list. The following represent the author's own preferred companies, carefully considered to be sure, but by no means meant to imply that other outstanding manufacturers do not exist. Whenever possible, I have listed some European distributors of American companies. In other instances, I have indicated whether a particular company handles exports if they do not have an overseas distributor.